The Al Maleh Agricultural Cooperative is a non governmental community organisation based in the north Jordan Valley. The organisation has previously carried out work in the field of cultural protection, including renovating a traditional Bedouin tent and creating groups to work on traditional embroidery, and has a strong history of carrying out advocacy work related to the ongoing conflict and associated human rights abuses in the region, particularly as this impacts on Bedouin communities. The Al Twani Crafts Cooperative is a non governmental community organisation based in the south Hebron Hills. In the past the Al Twani Craft Cooperative has organised a women’s group to preserve traditional embroidery skills whilst simultaneously serving as a forum for mutual support and exchange. This has supported community cohesion, and the cooperative are keen to pursue other projects that link heritage protection to increasing community resilience. The Popular Struggle Coordination Committee is a non-partisan committee formed by activists in popular committees from all over the occupied Palestinian territories (oPt) in order to support and coordinate the different committees that organize unarmed resistance against Israel’s Separation Barrier, the confiscation of Palestinian land and other aspects of Israel’s military occupation. Ms Mahasen Rabus is a leading trainer in oral history in Palestine, having worked for several years as project leader at the oral history department in Bir Zeit University in the OPT. She also has experience with archive and knowledge management. 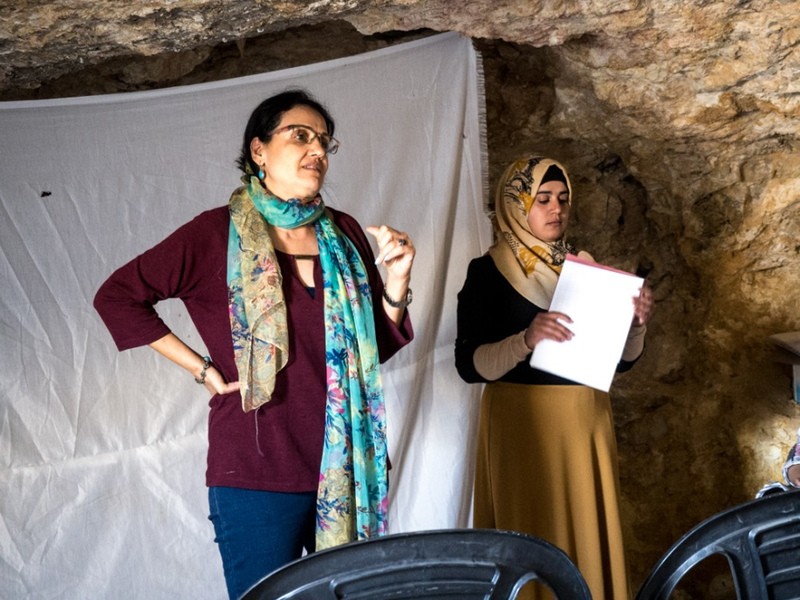 Mahasen led several projects about oral history among them; documenting the history of Palestinian destroyed villages in 1948, documenting the Palestinian women prisoners’ experiences and data collection to establish a women archive centre.